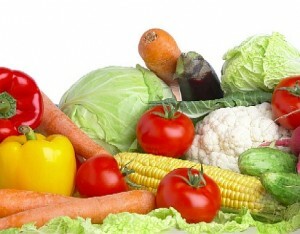 When you visit a dietician or doctor, they recommend you eat healthy food that contains nutrients required by your body. However, these foods are not cheap as you have to spend extra to buy these foods. In a recent study, it was found that Americans have to spend $380 a year to buy fruits and vegetables that are required by the body. Most people reading this article must be aware that eating healthy is expensive when compared to unhealthy food. A study has found that eating food that can increase the calorie from saturated fat by 1 percent will reduce your food cost by 28 cents and eating foods that can increase your calories from added sugar by 1 percent can reduce your cost by 7 cents. The high cost of healthy food is forcing many people to eat food that are unhealthy. Many people that we spoke to were aware of the food they must eat but they were unable to eat the required food items because they were expensive. Potassium is one of the most expensive nutrients and it is recommended that you eat at least 4,700 mg of potassium in a day. Most people on an average have only 2,800 mg in a day which means that people will have to spend at least $1.04 a day to make up for the difference. Also, having enough Vitamin D and required dietary fibres that increase your expenses by $0.35 per day for each nutrient. When buying healthy food you can buy food that have the nutrients that your body requires but are inexpensive. For instance, you can buy bananas that contain about 500 mg of potassium and avoid buying nectarines even though it has more potassium per calorie because it is expensive. To reduce your expenses, you can eat food that contains several nutrients that are required by the body. For instance, foods such as beans, banana and white beans contain several nutrients that are required by the body. You can also reduce your food expenses by eating dried food that are cheap and contain nutrients that are required by the body. You can eat dried prunes because they are cheap and contain potassium. However, people who suffer from diabetes must eat dried food in moderate amounts because they are high in sugar. Balancing your diet can also help you reduce your food expenses. For example, even though potatoes are inexpensive source of potassium you need to have at least 11 servings to meet your daily potassium requirement. Therefore it is important that you eat food items like seeds, bananas, nuts and milk with potato to make sure your body gets the recommended amount of nutrients. « How Do Carb Blockers with Kidney Bean Extract Block Carbs?